Powder coated men’s size 13.25 ring. Made of copper and silver, this is a one-of-a-kind jewelry piece. The silver floats like clouds across a shimmering copper sky. The sparkling silver grain wends its way around the ring like a vein in stone. 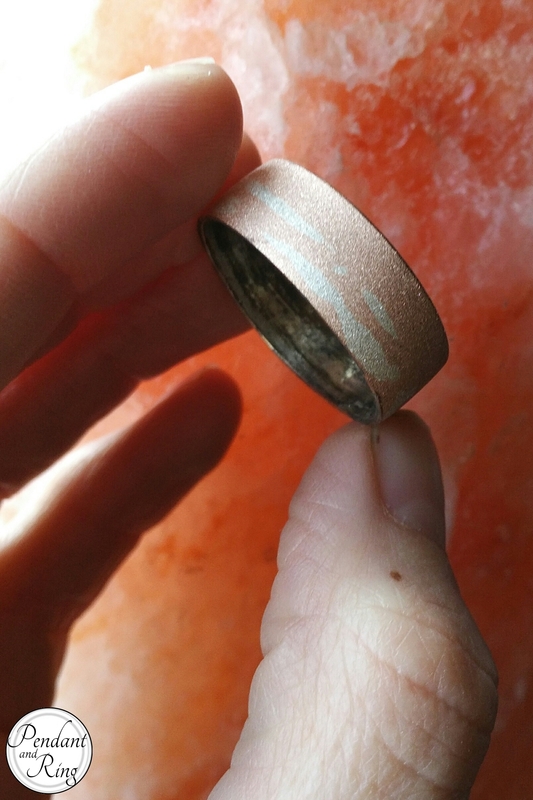 With the natural sparkle of a rose rock and the blending of copper and silver, this ring reminds me of Himalayan Rock Salt. Beautiful artistry with a durable finish. Comfortable on the hand, this ring will not get in the way of your work. Finely crafted, the band is 1cm tall, the interior diameter is 23mm, and the exterior diameter is 25mm. Made to last a lifetime!